Spanish wine is now the most popular in the world, says a new report. But the good news for Spain is clouded by the fact that most of its wines are commonly sold in bulk, instead of bottled -- and return less than a third of the profit than French wines do. 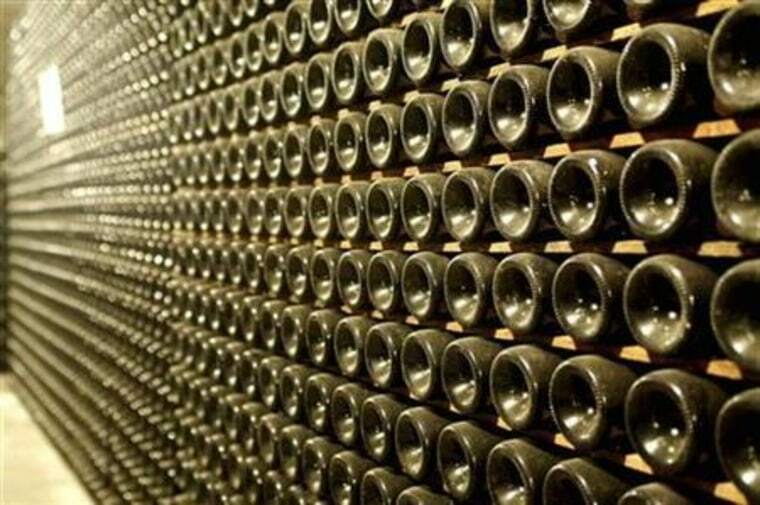 Spain’s record wine exports last year topped 2.4 billion liters, knocking France off the top spot with only two billion liters, according to the Spanish Wine Market Observatory. But Spanish sales only amounted to 2.6 billion euros, ($2.8 billion) as compared to 8 billion euros for France ($8.7 billion). A depressed domestic market has spurred the rise in exports for Spain: Wine consumption has been in decline for decades in Spain, with more people preferring beer or abstaining. Spain’s biggest wine market is now France, where Spanish bulk wine is bottled and exported as a French product. Spain’s most popular wines are Ribera del Duero, Rioja, and Priorat.